Download Voucher 65 voucher(s) downloaded. * Free training period is for one calendar month. * There is no obligation to join the school after this free training period ends. * Students are offered a free uniform when joining the school as part of our Starter Pack. * To take advantage of this deal we request you mention the Deal Code when booking your first class/visit with us. * This offer cannot be transferred to another school or be exchanged. 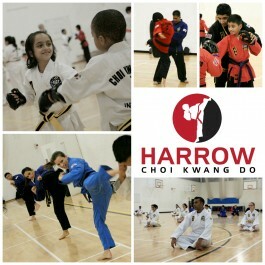 Harrow Choi Kwang Do school is a centre of excellence for the study of Choi Kwang Do, a modern martial art which emphasizes the ideal of personal and social development over sports competition. We can help you improve your fitness levels, self confidence and equip you with real self defence skills.